It's week THREE of National Cookie Month and #CookieMonth14 and we are all sharing the best cookies to give as gifts. I was sent flavored candy melts and the cutest gift bags. 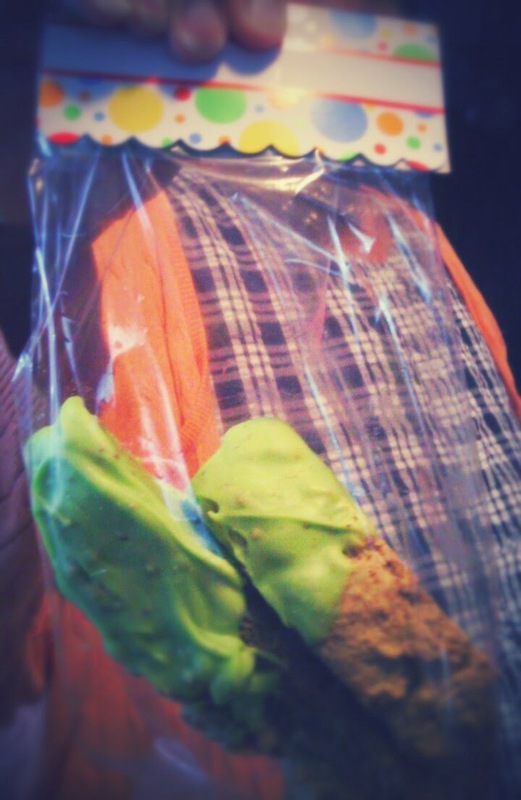 I gifted my mother my biscotti. I really think she's enjoying the taste testing part of Cookie Month. 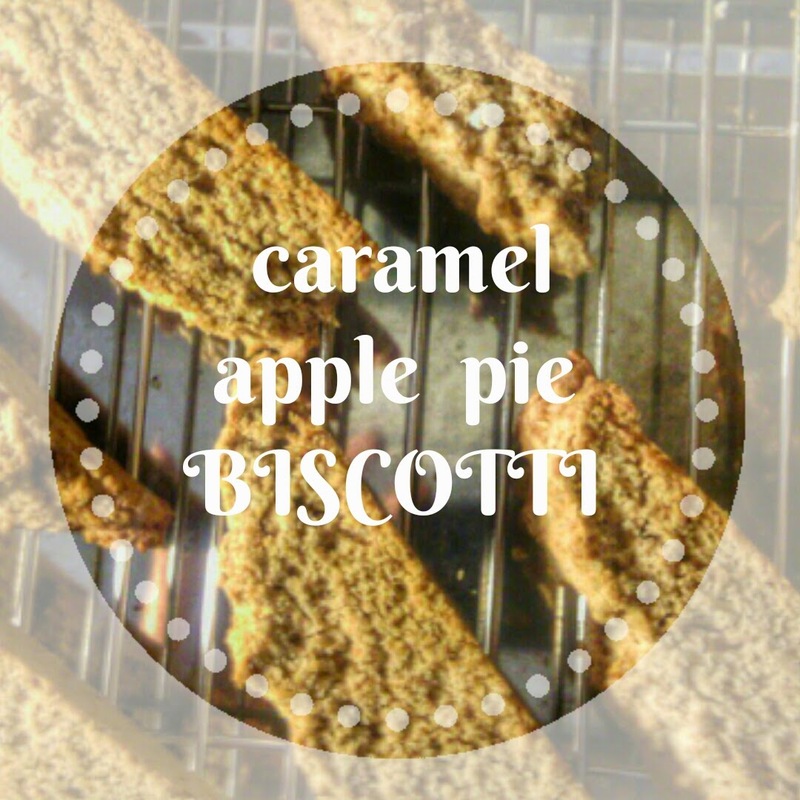 To create the biscotti, I decided to add apple pie spices to remind you of fall's favorite fruit (sorry, pumpkin). I dipped each cookie in the caramel apple flavored candy melt. They remind me of something a kid would like for Halloween or during a festive holiday party. Or maybe that's just me. 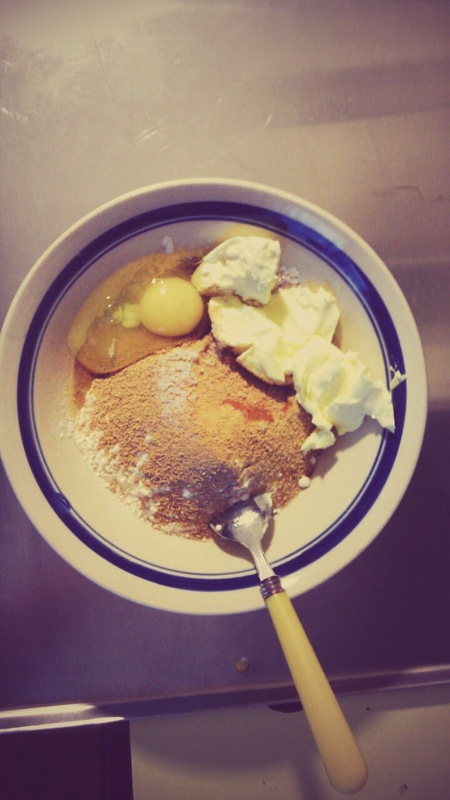 Place butter, sugar, salt, ginger, cinnamon, nutmeg and allspice in a large mixing bowl. Use a paddle attachment or hand mixer, cream these ingredients together at a low speed. Blend to a smooth paste. Add eggs, vanilla extract and blend at a low speed. Sift in the flour and baking powder. Mix until just combined. Do not overmix. Shape into 2 logs about 2 inches thick. The dough will be sticky and a little difficult to handle. Do not press dough down. Bake for 30-40 minutes, until light golden brown. Let cool slightly, 10-12 minutes, and slice diagonally in 1/2 inch pieces. Place cut side down on sheet to bake an additional 20 minutes until toasted and dry. Turn over halfway through second bake. Remove from oven. 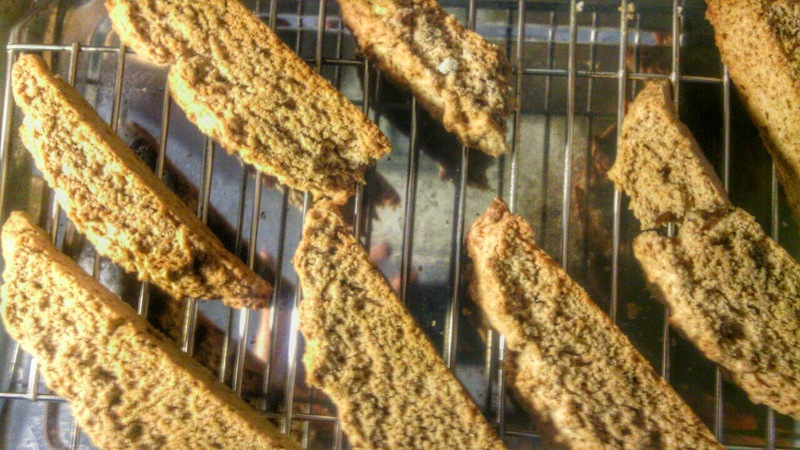 Biscotti will harden upon cooling. oh, these look wonderful. I love the idea of dipping them in the apple caramel melts! 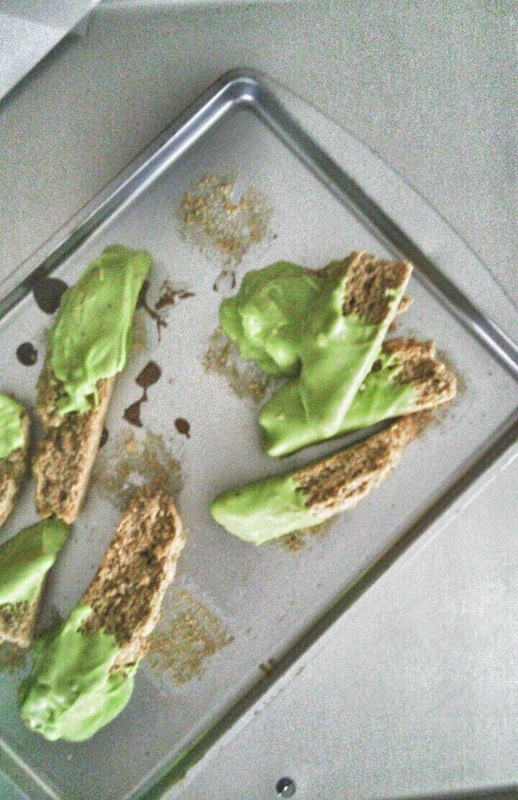 Love all of the spicy goodness in these biscotti, Nikki! The melts add a fun color (and flavor).